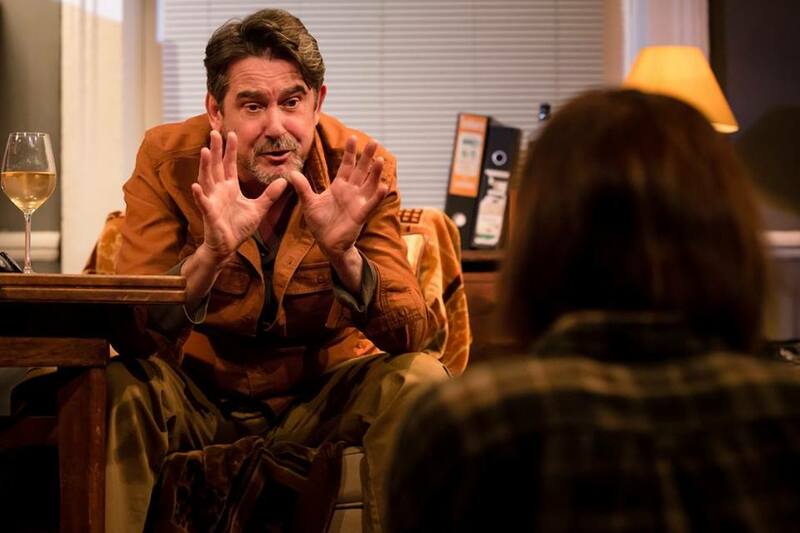 Family ties are at their tenuous best in I'm Gonna Pray For You So Hard at the Finborough Theatre. It's a great title for a play and refers to when you really hate someone for what they did, you pray for them. 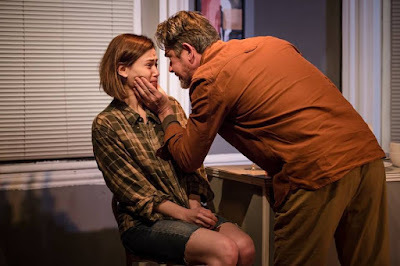 The piece charts the damaged relationship between a successful playwright and his aspiring actor-daughter. Sharp and shocking, at times it feels like you're eavesdropping on a famous neighbour that you know is a little unhinged. And you can't help but keep listening. 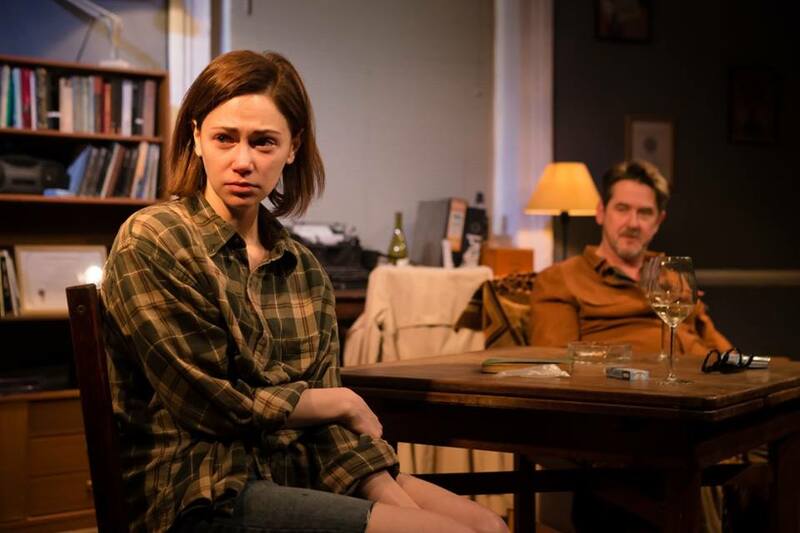 The play is a two-hander but feels at times more like a monologue. David (Adrian Lukis) is a dominating presence in the piece. A bitter alcoholic who hates critics, fags, his daughter's director and her insecurities. He lashes out at everyone and everything. There is little for his daughter Ella (Jill Winternitz) to do except listen and say something when he comes up for air. When she does get the chance to interrupt him, finishing one of his often-told stories, he erupts with rage. So she is left to grovel and apologise . It could be an unpleasant character, but Lukis gives the character some warmth between the cruel put downs and bile. But as the wine flows and the cigarettes lit, what traspires is you're watching a cruel and abusive relationship. This may not be everyone's cup of tea, but the glamour of the broadway backdrop serves as a distraction. They're waiting for the reviews to come in about Ella's play, an avant-garde version of Checkov's The Seagull. After the reviews come in Ella makes the comment that perhaps she isn't cut out to be an actress. Things then take an unexpected turn and she leaves. The shorter second act takes place five years later in a New York Theatre where Ella is no loner insecure. She's become successful in a one woman show. Her father reappears and you know you're going to have to brace yourself for what comes next. After all she's become daddy's girl. 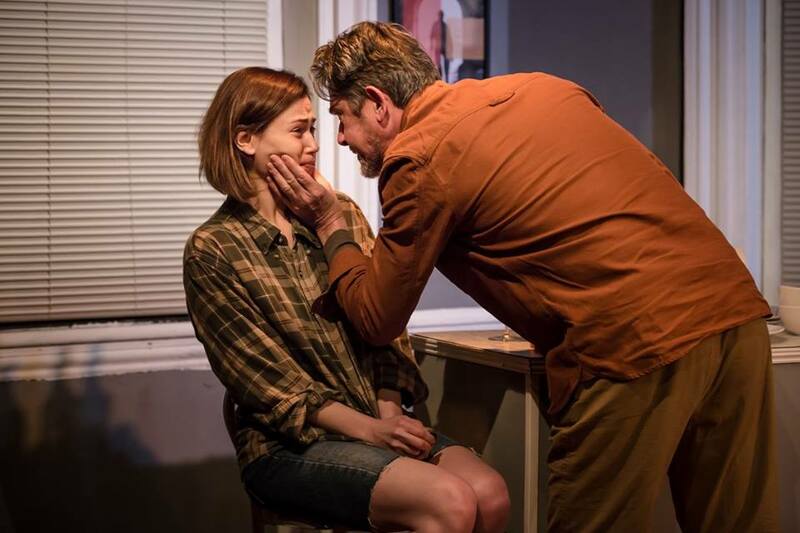 Directed by Jake Smith, I'm Gonna Pray For You So Hard is at the Finborough Theatre until 25 March.